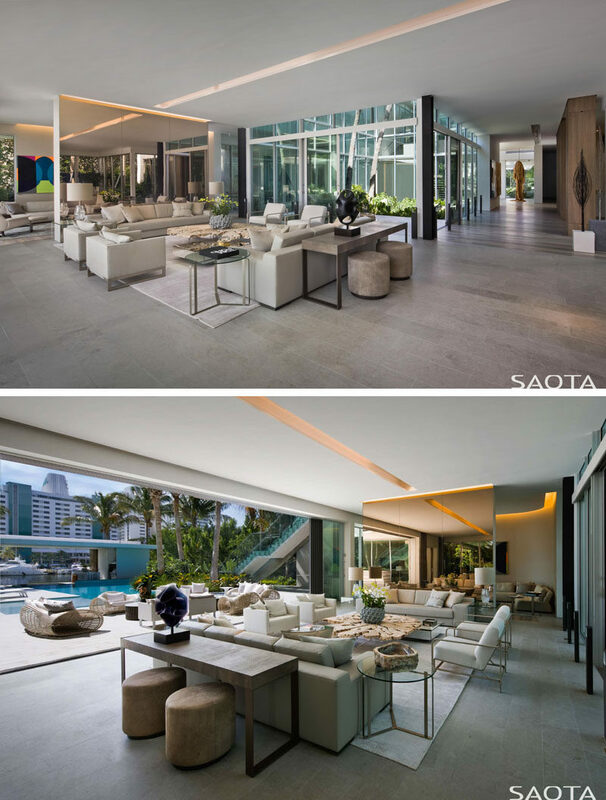 Architecture firm SAOTA, have recently completed their first project in Miami, Florida, in collaboration with DVice, the architect of record, Nils Sanderson, the interior designer, and Brodson, the construction company. 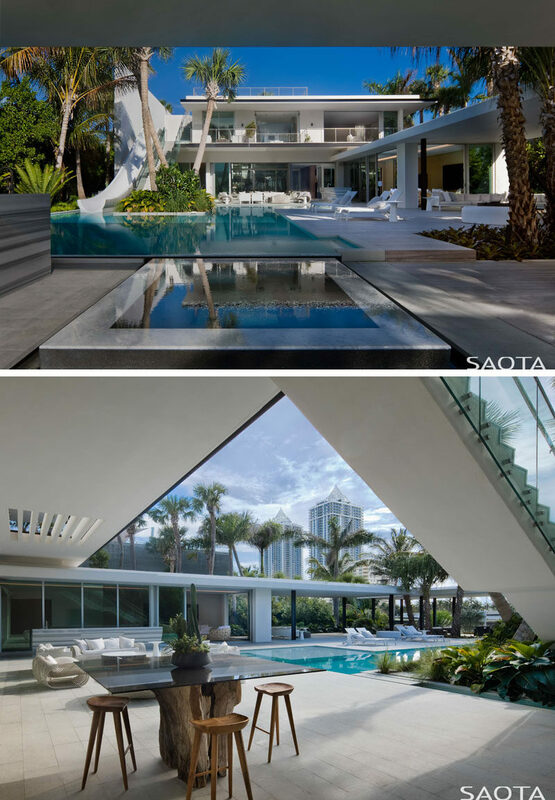 The modern house design was inspired by open plan living. The indoor/outdoor design makes it an easy-living family home. 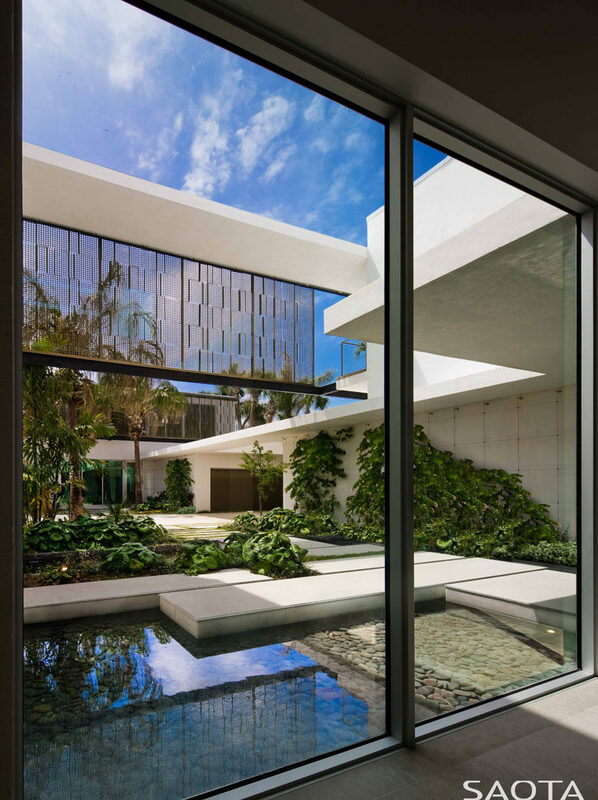 Inside, the living room sits beside an internal courtyard and a mirrored wall. A large glass wall opens the living room to the rear of the house that has a large outdoor entertaining area and swimming pool. 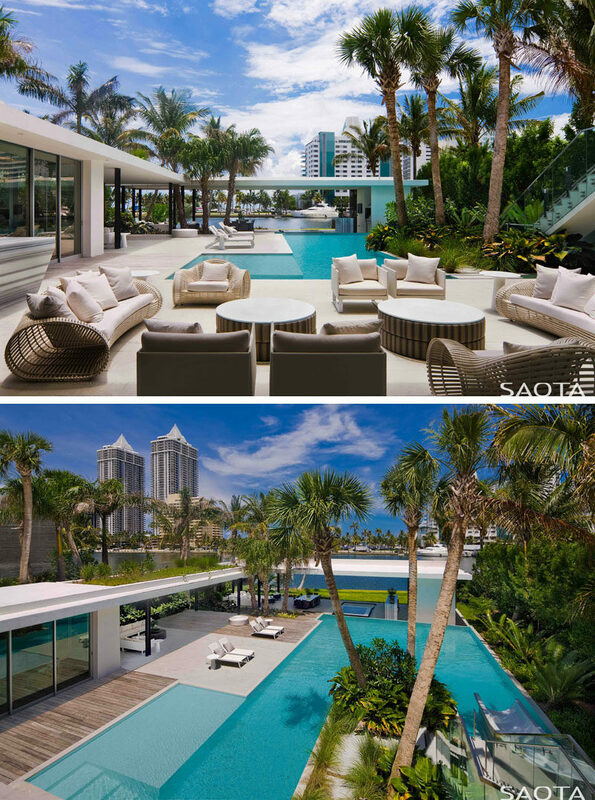 Surrounding the pool is a deck with covered areas, like a lounge area and an outdoor dining space. Palm trees are scattered around the pool, making it feel like a tropical getaway. 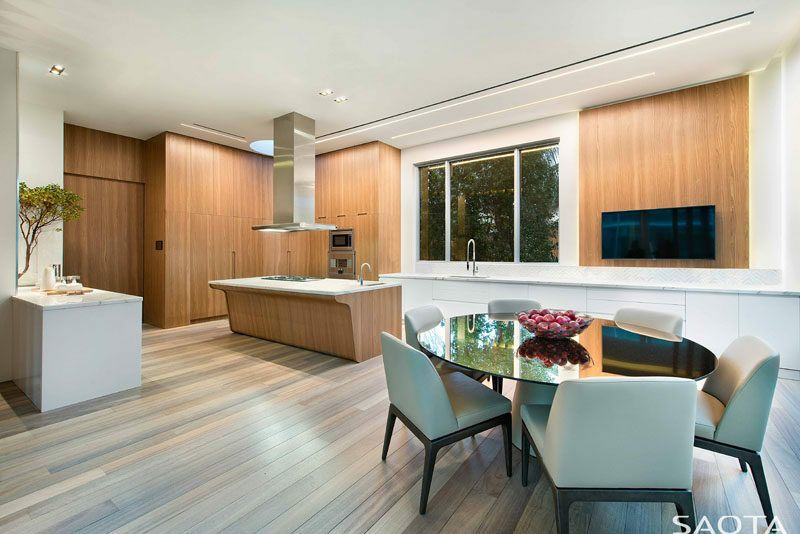 Back inside, the kitchen is a combination of wood and white cabinets with white countertops. 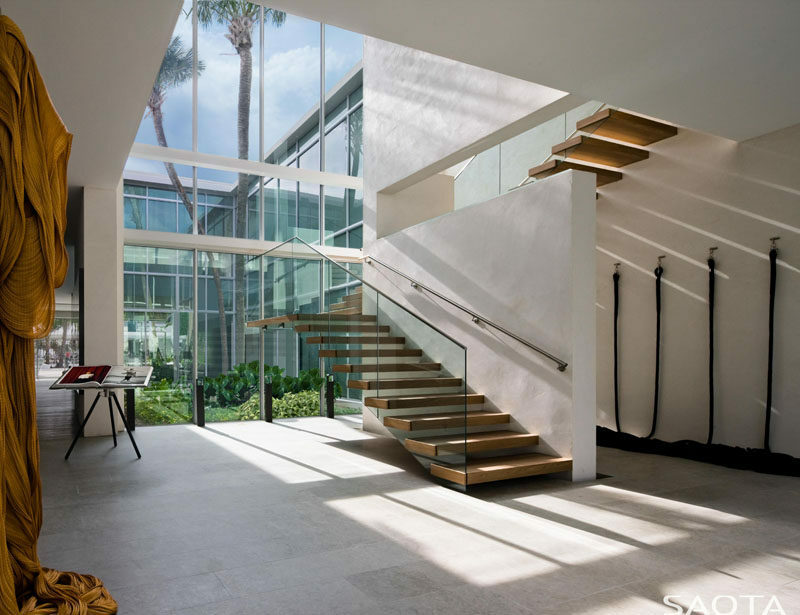 A wall of windows floods the wood and glass stairs with natural light. 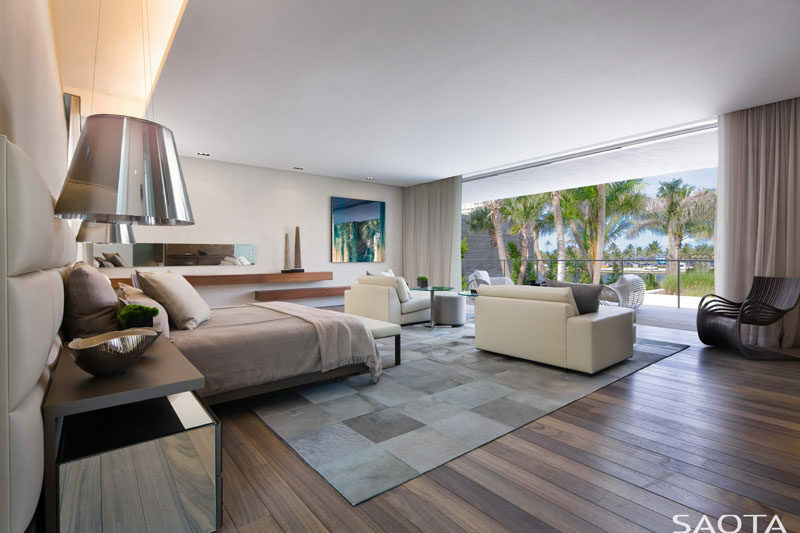 Upstairs, the large master bedroom suite enjoys the view from its own lounge area and balcony. 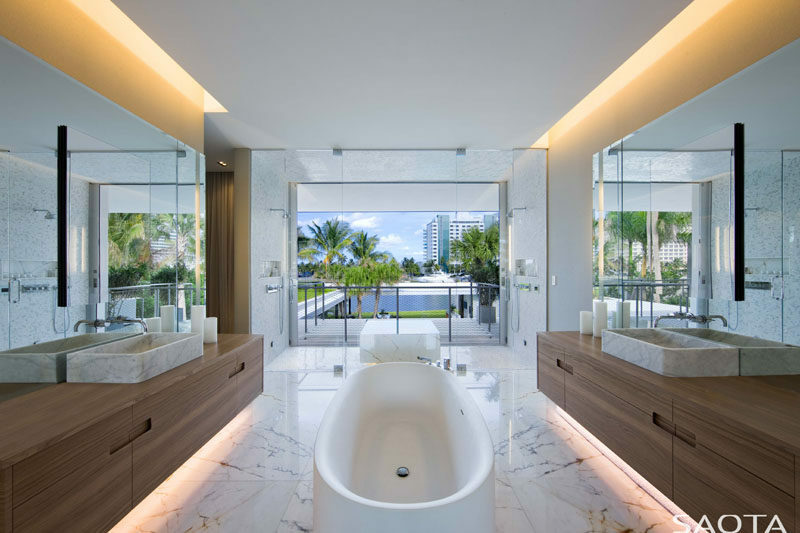 In the master bathroom, wood vanities have been placed on either side of the room with a freestanding bathtub between them, while the glass enclosed showers have water views.